Advisor to QVC Realty in a transaction with IL&FS Investment Managers. IL&FS Investment Managers (IIML), the private equity arm of IL&FS, has invested $100 million in real estate startup – QVC Realty. 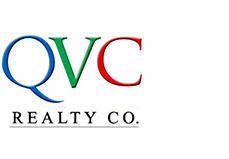 This investment makes QVC Realty the first venture capital backed real estate start up in India. QVC Realty is promoted by Prakash Gurbaxani, who was heading the real estate joint venture between Tishman Speyer and ICICI Venture. The initial Investment has already been deployed to buy a 100 acre plot near Gurgaon. QVC will develop a township on this land in the next three years. The company is also in the process of tying up a 100 acre parcel in Bangalore. The company will operate in 12 markets including Tier 1 cities like Mumbai, NCR, Bangalore, Hyderabad, Pune and Chennai and Tier II ones like Kolkata, Chandigarh, Nagpur, Vadodara and Cochin. The development projects would cover a range of residential, commercial office, commercial retail, hospitality, mixed use and integrated townships. Avendus Advisors is an Investment Bank specializing in Private Equity Syndication, Cross-Border M&A, Fixed Income and Strategic Advisory services to corporates and funds. The company focuses on industries where Indian companies have a strategic growth advantage, including IT Services, IT Enabled Services, Pharmaceuticals and Healthcare, Automobiles and Automobile Components, Real Estate and Consumer Products and Services. Avendus clientele ranges from fast growing mid cap companies to large international corporates and established private equity funds. It has served more than 100 corporates in cross border transactions and in raising growth capital, and has closed deals more US$ 300 Million during the last twelve months.